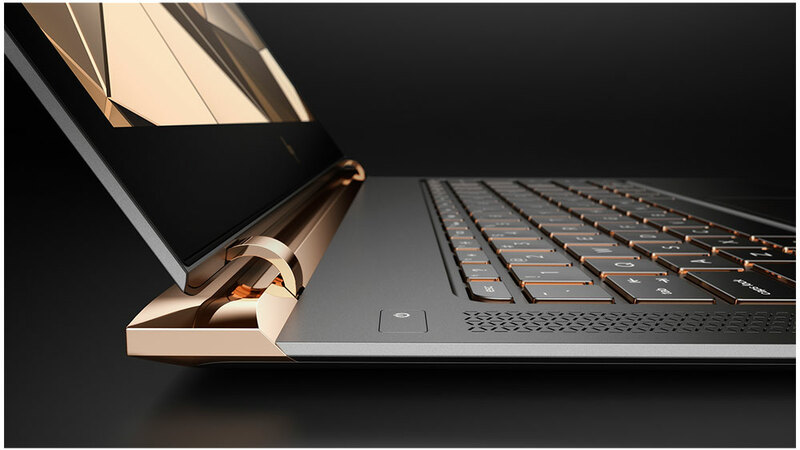 The HP Spectre actually does have Apple beat on some fronts, when comparing the HP laptop to the super-thin MacBook, which debuted in the first quarter of last year. The Spectre has a 13.3-inch screen, while the MacBook’s is 12 inches, and the HP laptop is only 10.4mm thick alongside the 13.1mm-thick Apple device. An, the Spectre’s battery is a hybrid 4-cell 2-piece design that management claims will offer as much as 9 hours and 45 minutes of power, compared to the MacBook’s standard lithium-ion batter, which AAPL management claims will provide nine hours of use. Aside from the minuscule battery advantage, the only aspect where the HP laptop beats out Apple’s latest MacBook is size. Most of the other relevant characteristics, in terms of performance, storage and computing power, are nearly identical. However, it’s important to note that Apple now has a chance to respond in kind with the next time it updates its gaer. It’s also relevant to point out that HPQ and AAPL aren’t the only two companies building laptops. The Spectre has to contend with builds from an increasing number of other developers as well, including models from tech heavyweights such as Alphabet and Microsoft Corporation (MSFT), not to mention a fierce group of lightweights such as Lenovo Group Limited (LNVGY), Acer Inc (ACEYY), and Asustek (ASUUY). The sad fact, however, is that even though the HP laptop has better specs than Apple’s latest iteration of the MacBook, HPQ’s subsequent title as the developer with the thinnest laptop probably won’t be long-lived. In the blink of an eye, one of the other players in that arena will find a way to shave another millimeter off its design, and HPQ will be right back where it started — suffocating at the bottom of a dying segment of the technology industry, watching competitors slowly shrug off PCs and head for the mobile arena. It’s also interesting that management chose to reveal the new HP laptop at the International Luxury Conference in Versailles today. Considering the demographics at such an event, is HP planning to more heavily market the device to high-end consumers? If so, I wonder about the wisdom of that decision, marketing a product to the much smaller affluent consumer demographic, rather than toward the massive middle class. HP teamed up with London-based design studio Tord Boontje to create a small line of Spectre laptops with 14K gold trim and more than 800 inlaid crystals, and with Jess Hannah to design a second version with embedded diamonds and made entirely of 18K gold. It was reported that these models will retail for $25,000 apiece. Apparently, HPQ will donate the proceeds from those sales to charity. But still, when you’re working with limited resources and facing off against goliaths such as Apple and Microsoft, is this really the most efficient, productive way to market your wares? The sticker price of $1,170 for the Intel Corporation (INTC) Core i5 model and $1,250 for the Core i7 model definitely puts the HP laptop out of reach for a large percentage of middle-class consumers. There are plenty of other laptops available from competitors that cost well under $1,000. That leaves the upper-middle-class and affluent demographic, and while plenty of those people might buy a Spectre, it’s unlikely to be enough for HPQ to make any real money. Further, a disproportionate percentage of that wealthier group is already plugged into the Apple ecosystem, and anyone who’s made the switch from an iPhone to an Android knows how difficult it can be to get out. So that leaves the even smaller sect of upper-class die-hard techies who will probably buy the HP laptop. HP’s decision to spend its R&D budget developing the world’s thinnest laptop might not have been the best one. Even though the Spectre out-specs the MacBook, that victory party won’t last forever. What will HP do when the fanfare quiets and the Spectre is just another expensive laptop that people really don’t need anyway? What makes matters worse is that, prior to today’s unveiling, HP management was so vocal and combative in matter-of-factly announcing the impending dethroning of Apple. The company has been making a mountain out of a molehill with this entire Spectre spectacle. Look at it for what it is — a $1,200 laptop. Even though it’s the thinnest one on the market and has impressive innards, in the end, the HP laptop lies in a withering niche. And with as quickly as developers seem to push out new models, to the average consumer there’s very little that’s special about one device versus another. People just don’t get excited about laptops the way they do about smartphones (I can’t imagine a line of people circling a city block just to buy an HP laptop). Kudos to HP for breaking a size barrier, but ultimately, it’s much ado about little.